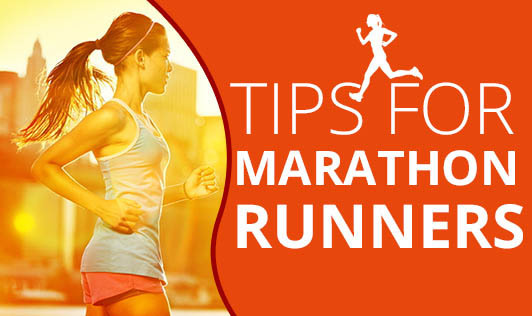 Marathon is achievable for any healthy individual who is willing to commit to the training. Training for the marathon involves real hard labor to ensure effectiveness. Check with your doctor and discuss with him your plans of running, especially if you are a first time runner. Buying the right type of running shoes is one of the key preparations for running. This can make your run comfortable and injury-free. Finding the right sports bra is equally important for women. The foremost tip is to set realistic goals and reward yourself once you achieve the target. Plan your week much in advance. This will help you be mentally prepared for the schedule. Spice up your running by adding variations like altering the pace, terrain and the time you run for. This would make running all the more a delightful experience. Rest is equally important. The free time would help in restoring your energies and enhancing your capabilities. A healthy balanced diet rich in carbs is essential at this phase. Drink lots of water. Running alone can be very boring. Try to get a partner for yourself. This would make the experience all the more entertaining. Stretch your muscles at the start of marathon. Concentrate stretching around the leg region, including the calves, hamstrings, quads and feet. Wear comfortable clothes on the race day. Get synthetic socks; instead of cotton ones, to avoid blisters. These socks also help to keep your feet cool, despite profuse sweating. As for food, the best bet would be to eat three hours before the start. Go in for foods rich in carbohydrates. Use a sunscreen to avoid sunburns. Do not start too quickly. Starting a race too quickly can be disastrous for your overall performance. Start at the pace you can maintain all the way round. Drink lots of water. Restoring your fluid balance is a critical part of the recovery process. Use ice packs on especially sore spots, such as your quads and knees. Eat healthy. Stick to a balanced diet with plenty of good carbohydrates and protein to help repair and rebuild those damaged muscles. Get plenty of sleep. Sleep is crucial for the recovery process. Listen to your body and don't feel guilty about sleeping a lot, it's normal. Get a body massage. Massage is a great relief for your muscle pain and stiffness. Resist the temptation to start running again. Even if you're not feeling sore or fatigued, take a few days off from running. Go for a walk if you want to stretch your legs.